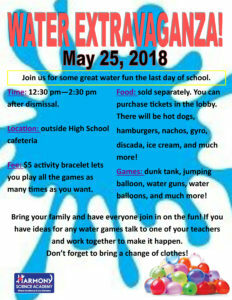 WATER EXTRAVAGANZA: Join us for some great water fun the last day of school. Time: 12:30 pm—2:30 pm after dismissal. Fee: $5 activity bracelet lets you play all the games as many times as you want. discada, ice cream, and much more! Games: dunk tank, jumping balloon, water guns, water balloons, and much more! Bring your family and have everyone join in on the fun! If you have ideas for any water games talk to one of your teachers and work together to make it happen. Don’t forget to bring a change of clothes! 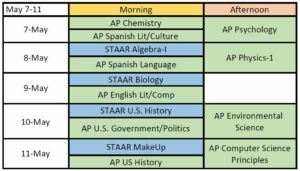 Lockers have to be cleared out by Thursday, May 24th, 2018. Anything left behind will be discarded immediately. 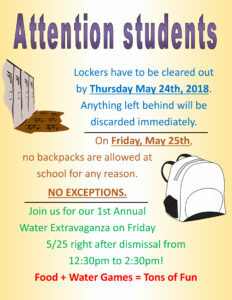 On Friday, May 25th, no backpacks are allowed at school for any reason. 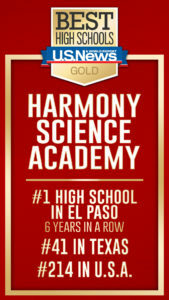 We are 1st High School In El Paso 6 years in a row. Also we did really great in Texas and in the nation by US News Rankings. 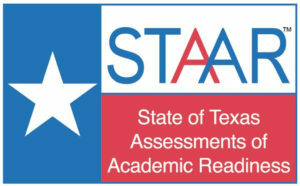 This would not be possible without the efforts of our dedicated teachers, staff, and administrators. Thank you all for going above and beyond to support and give the best education to our students. Great job!